The above prices are for fully assembled Black powder-coated gates. 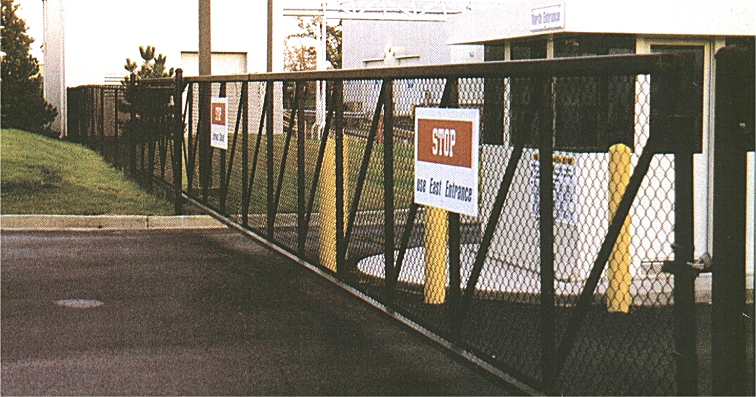 All of our Ziptrack cantilever gates include standard gate hardware. Gates requiring a special color coating, double track or box framed construction, please call for a quotation. Even with unique customizations, our Zip Track cantilever gate pricing can not be beat. We stand behind this with our low price promise. If you find the same ZipTrack gate available somewhere else, with the same options, at a lower price - we'll beat that price! The ZipTrack™ aluminum cantilever gate system is designed and manufactured by Elite to provide the ultimate cantilever gate solution. Just like their ornamental aluminum fencing, all Elite ZipTrack™ gates are built out of the highest quality materials available. These ZipTrack™ gates are also powder coated, giving them increased strength and resistance to the peeling, chipping, or fading that conventional paint would result in. Elite also provides a 5 year limited warranty on all of their ZipTrack™ cantilever gates. Not only are ZipTrack™ cantilever gates available in the following colors as well as an aluminum mill finish, custom colors can also be ordered. Call (800) 878-7829 toll free for a custom coloring quote. 1) Attach upper brackets to posts, making sure the holes for the truck assemblies are as shown. 2) Attach upper truck assemblies to brackets, as shown. Top of vertical wheels should be about 1/4" below top rail of fencing. 3) "Snug Up" nuts on U-bolts. 4) Remove stop from one end of upper gate track. 5) Install gate onto truck assemblies and reinstall stop. Center gate on truck assemblies. Adjust truck assemblies making sure gate is level. 6) Bring gate to fully open position and install front lower guide assembly. Then move to closed position and install back lower guide. Center lower guide wheels in track. 7) Check final alignment. When properly aligned, tighten all nuts securely. 8) Enjoy your new top of the line cantilever gate from Elite. Questions about Elites Ziptrack cantilever gate system, or maybe just wish to complete your purchase over the phone? At Discount Fence Supply we're commited to being there for you every step of your fence shopping experience. You can reach our friendly representatives toll free Monday thru Friday 8-5 EST at (800) 878-7829, or you drop us an email us anytime at sales@discountfence.com. We're here for you!